Each module is accompanied by Magical Graph Paper, which serves as both a keycard to load the corresponding module and grounding plane for the 3D augmentations. 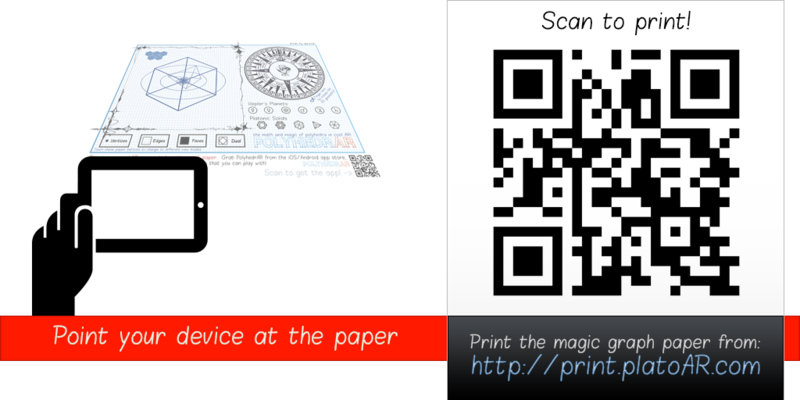 Simply point your device to the magical graph paper to have the app "appear" on the paper! Alternatively, if you don't have a printer handy, you can simply scan this QR code to load the corresponding paper on another device - then, point the device running the PlatoAR app at this - and play, paperlessly!